Around 46% of small businesses in the United States don’t track inventory or use a manual method. Now don’t do that. Your inventory is your biggest asset and your biggest liability (if you can’t manage it properly). In order to make the most out of your inventory, you need to make sure of adopting the right approach toward inventory management. While both inventory systems have their virtues and vices, before deciding which one to choose, you need to be armed with everything you can know about them. The perpetual inventory system, as the name suggests, tracks inventory ‘perpetually’ as it moves throughout the supply chain. In this approach, warehouse managers keep a continuous track of inventory balances, meaning inventory is updated automatically every time an item is received or sold through every point of sale. In the perpetual inventory system, purchases and returns are also recorded automatically in the inventory count. A differentiating factor of perpetual inventory system is that it utilizes digital technology, an inventory management software, to track inventory in real-time. 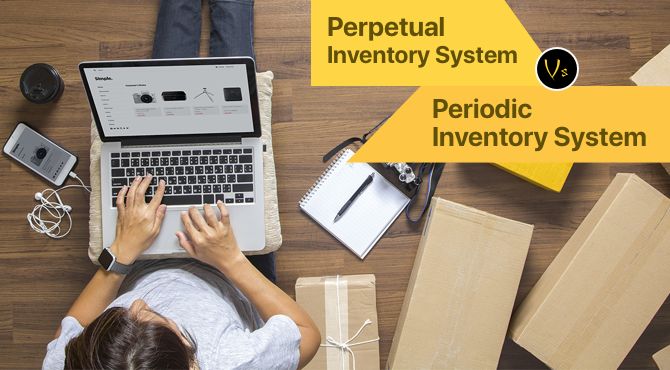 Now let’s take a look at the pros and cons of perpetual inventory systems vs periodic inventory system. Tighter inventory control– continuous monitoring enables businesses to have a firm hold over their inventory, knowing exactly what comes in and what goes. Preventing stock-outs or overstocking– obviously, with greater inventory control, you’ll always be aware of the status of your inventory, helping you decide how much or how little you need. This way, perpetual inventory system helps you avoid over-stocking as well stock-outs since you’ll be alert when products need restocking. Saving inventory and storage costs- since you’ll always be up-to-date with inventory count, you won’t have to stock more than required assuming sales will be higher. Imagine how much capital and storage costs you can save by maintaining only the required amount of inventory! Reduce inventory shrinkage- According to a study by National Retail Federation, inventory shrinkage cost about 1.33% of sales in 2017. Now inventory shrinkage happens for a number of reasons like damage, theft, loss. It is basically the difference between inventory you THINK you have on-hand and the inventory you ACTUALLY have on-hand. Perpetual inventory system quickly identifies any discrepancies due to theft or shrinkage and eliminates guesswork when it comes to setting replenishment levels because you always know the exact inventory level. Use of technology- Perpetual inventory system uses perpetual inventory system software for real-time inventory tracking. Products are scanned with the use of barcode scanning for accurate inventory levels. Time-consuming- the perpetual inventory system cannot be maintained manually since it entails continuous tracking of inventory. Since each inventory must be recorded right away, it keeps managers constantly on their toes about syncing inventory on the system. Discrepancies can always arise- continuous tracking of inventory seems a good strategy in general but what if there are errors while updating inventory count. Since there is no place for regular physical inventory counting in the perpetual inventory system, there can be a possibility where inventory levels in the system may differ from actual inventory in the warehouse. Expensive for small businesses- small businesses may feel that a perpetual inventory system might require investing in an inventory management software, IT setup and other specialized equipment. An additional expense includes training employees on how to operate them. The periodic inventory system, like its name, calls for ‘periodic’ inventory counts after a set timeframe. These time periods can be decided according to you; it could range from a few hours to monthly to annually. As opposed to the perpetual inventory system, inventory is not tracked each time a sale is made. Here, inventory is tracked at the beginning and end of the accounting period. By subtracting the cost of ending inventory from beginning inventory, you will know your cost of goods sold(COGS). In the periodic inventory system, warehouse managers take a physical inventory count in the warehouse at the end of the time-frame and match it with the inventory count on ledgers. In the periodic inventory, your COGS is the parameter which will tell you how efficiently you manage your inventory. Hassle-free- periodic inventory system requires physical inventory counts after a specific interval of time. Considering periodic inventory system vs perpetual inventory system, the latter is more complicated where inventory needs to be tracked with every sale. The periodic inventory system is less time consuming this way. Less expensive- unlike the perpetual inventory system, businesses do not have to invest in specialized software for inventory counting in the periodic system. No additional training for employees- since a perpetual inventory software isn’t required, businesses with periodic inventory system don’t need to focus on employee training. High probability of discrepancies- the inventory count is taken only at the end of the accounting period, which means there is no update before that. Since inventory isn’t updated regularly, major discrepancies could creep in from the beginning inventory count to the ending count. Weaker inventory control- inventory is not updated in real-time therefore, businesses may not know the status of their stocks when they need to. Demand forecasting might not be as accurate as compared with the perpetual inventory system leading to stockouts or overstocking. While theft, shrinkage could be detected in the perpetual inventory system, it is not so in the periodic inventory system. After researching in great depth, I finally found the case study of Sulfo Rwanda Industries. It’s an excellent example of the practical applications of perpetual inventory system vs periodic inventory system. First up a brief introduction about Sulfo Rwanda Industries. As mentioned on their site, they are manufacturers and distributors of FMCG products, based in Kigali, Rwanda. In the study, it is found that Sulfo uses a perpetual inventory system to keep track of their stock and calculate the cost of goods sold (COGS) at the end of the accounting period. It keeps the balance of inventories up-to-date every time. It helps the cost of goods sold calculation without taking periodic inventory count. Perpetual inventory system gives continuing information needed to keep maximum and minimum inventory levels by analyzing appropriate timing of purchase. It gives information about the quantity of goods on hand at various locations. Perpetual checks provide basis for measuring the amount of theft. It gives costs of goods sold needed to record sales at both selling price and cost price. The study finally proved that as Sulfo Industries used raw materials such as fuel oil, peat, gypsum, gas-oil, they realized using perpetual inventory system is more beneficial so that they recognized the required materials during the accounting period. Which One Should You Choose for Your Business? In the battle between periodic inventory system vs perpetual inventory system, which one you should opt for, totally depends on your situation. As discussed above, both perpetual and periodic inventory systems have their pros and cons and selecting between the two is contingent upon your business. However, the underlying fact is that it is not possible to maintain accurate inventory levels without a physical inventory count. 40% of large businesses will work with a perpetual inventory system at separate outlets but they will use the periodic system at their core. Another factor is scalability. If your business has been expanding gradually and regular inventory counts seem difficult, then you can opt for the perpetual inventory system for smooth inventory management. 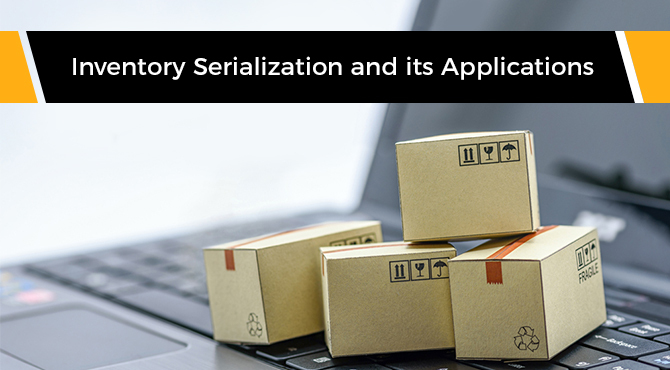 For e-commerce sellers, selling on multiple channels and maintaining different warehouses, a perpetual inventory system might make life easier. However, regardless of the magnitude of your business, you will at some point have to carry out a physical inventory count. The inventory management method you select for your business will depend on the nature of your business and your requirements as a seller. For some, they might not fancy spending on an inventory management software if they are comfortable taking stock manually, while others might feel physical counting is cumbersome. The truth is discrepancies are present in both; it ultimately boils down to whether a specific method will streamline operations or you prefer a hybrid approach. Why your business needs an inventory management software? Avid reader. Daydreamer. Perfect Saturday evening is a cup of coffee with a classic book. Mountains over beaches. Loves animals. Always craving for stories. 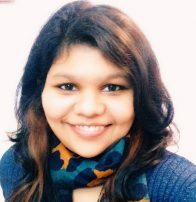 Writer at Orderhive.